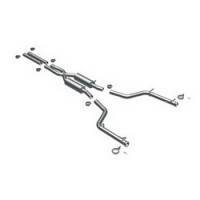 MagnaFlow Performance Exhaust has spent over 25 years earning a reputation as a global market leader. 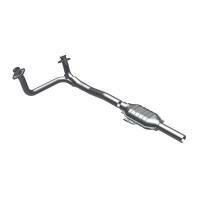 Check out the Recently Listed Catalytic Converters and Components. 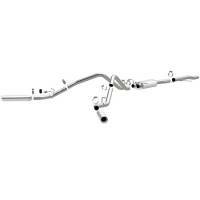 Check out the Recently Listed Exhaust Intermediate Pipes. 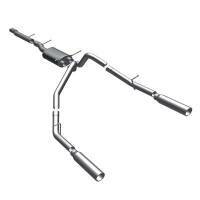 Check out the Recently Listed Exhaust Tips. Pit Stop USA is The Online Motorsports Superstore! MagnaFlow Performance Exhaust has spent over 25 years earning a reputation as a market leader around the world and today stake their experience and reputation on each and every MagniFlow exhaust product. 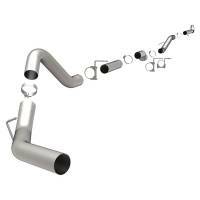 Each new product MagnaFlow develops is evaluated and tested by their team of designers and engineers, then field tested to ensure that these products meet stringent quality and performance standards. 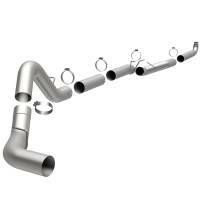 On May 18, 2000 MagnaFlow Performance Exhaust was awarded the ISO-9001 certificate. ISO-9001 is an international quality standard created by the International Organization for Standardization to define quality management and manufacturing systems. 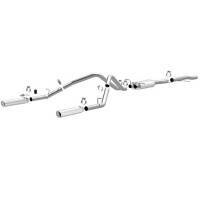 It has 20 specific design, material, and process requirements that help MagnaFlow ensure customer satisfaction with their products and services. ISO-9001 certified companies are re-audited every six months to ensure that quality standards are maintained. 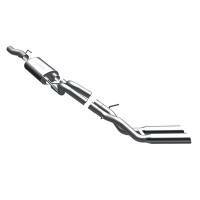 MagnaFlow Performance Exhaust combines OEM installation technology with straight-through flow to produce a smooth, deep tone outside the vehicle, minimal intrusion inside the vehicle and unparalleled ease of installation. 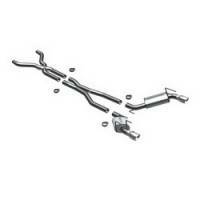 Wide open, polished mufflers and mandrel-bent pipes with OEM barbed hangers can be installed with no modifications. Kits include hardware and a polished, stainless steel double-wall tip to prevent long term discoloration. 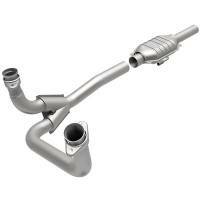 We feature MagnaFlow Performance Exhaust at low everyday prices!